The best time to send flowers is when they don't expect it. Imagine the surprised look on your loved one's face when a beautiful flower arrangement arrives for them out of the blue! Here are a few choice arrangements, perfect for such an occasion. A time tested tradition. Roses never go out of stlye! 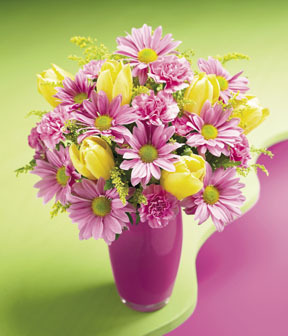 A nice spring bouquet to brighten someone's day! 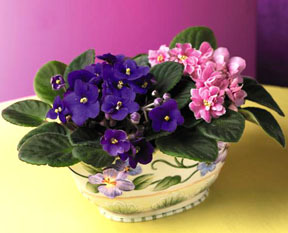 Healthy and colorful African Violets to please the eye. 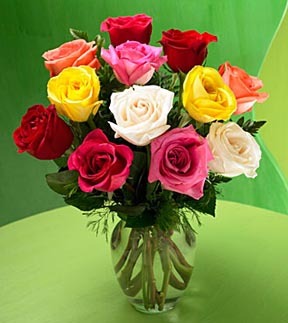 These are just a few of the hundreds of beautiful floral arrangements that we have to offer. Please check out our website for more ideas. It's always good to read the fine print... 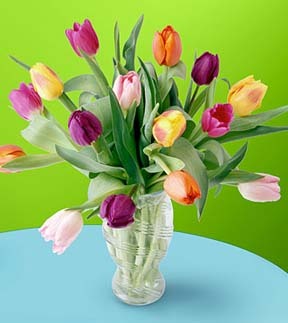 If you don't enjoy your flowers, send them back and we'll replace them!